Hours after hours, it’s the same problem – the kids don’t want to put down their favorite video game system! 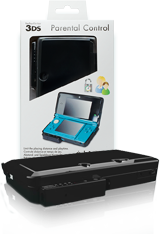 With the Parental Control Kit for Nintendo 3DS™ and PS3™, gaming limits can easily be set. 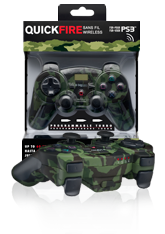 Discover the ultimate shooting games experience with the wireless controller QUICKFIRE Destruction Pad. 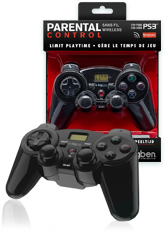 This controller for PS3™ will allow you to take the lead and chase your enemies thanks to an unrivalled fire strength.